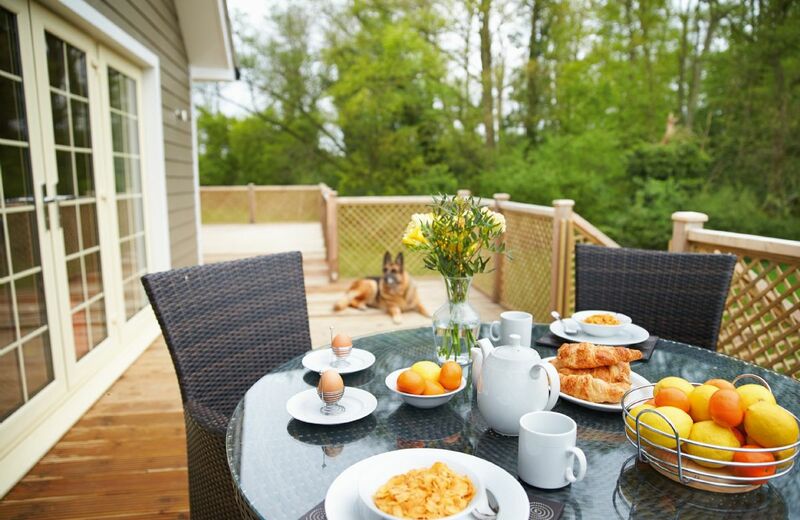 Choose from over 200+ dog friendly cottages all self-catering, extremely well cared for, inspected and maintained. Our cottages are unique, hand-picked for their special character or stunning locations. With excellent reviews and great availability throughout the year your four-legged family friends are welcome across our homes. We have dog friendly cottages thoughout the UK including Devon, Norfolk, Lake District and Wales to name a few. Our pet-friendly holiday holiday homes are in the best places suitable for groups or families between 2 and 28 guests. More than one dog to bring along? No problem! Many of our properties welcome more than one camine pet so finding somewhere special the whole family can enjoy while avoiding the kennel is easy. Your search returned 275 matching properties. Exactly as described on the website. Beautiful surroundings. Luxurious spacious lodge with everything we needed for a wonderful restful break. The bed was so comfortable that when we came home we got a new Mattress for our own bed. Decent WiFi speeds. Ted our little Schnauzer had a great time exploring and chasing the bunnies. My wife and I enjoyed the hot tub, sun loungers and eating alfresco on the enclosed veranda. We had some lovely walks around the lake and the surrounding countryside. Thank you for delivering as you promised. Money well spent. We will visit again. It was very clean, luxurious, beautifully furnished and attention to detail had been paid to finishing touches. Also, the hamper was very generous. It was wonderful. A little Gem in the Suffolk Countryside. 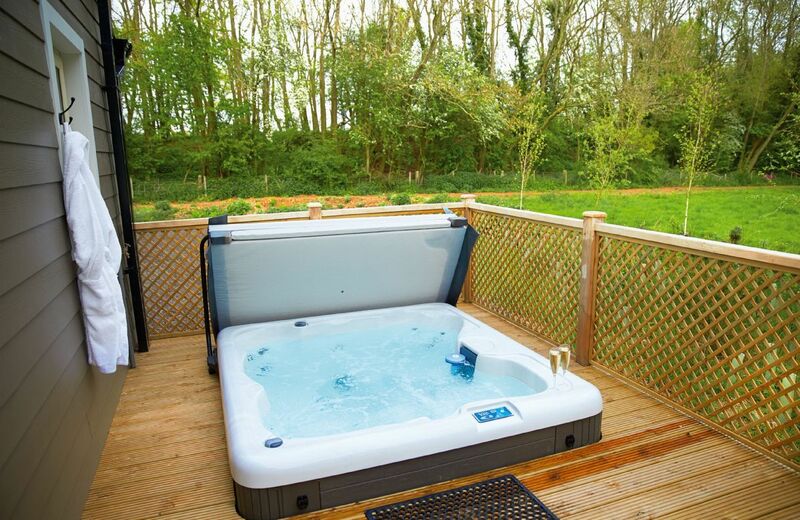 The Lodge itself was modern, spacious and quiet with a cracking decked area and Hot Tub which we made the most of. Only a small walk to the local Village to have a nice beer down the pub next to the River. Highly Recommend. Amazing weekend break and the lodge was extremely comfortable. We could not get the bose sound system to work and the hot tub took a while to warm up. The place was spotlessly clean and comfortable and the hamper was a nice touch. The lodge was really spacious, clean and in a wonderful setting. We had a really relaxing and comfortable stay with lovely walks and good local food. 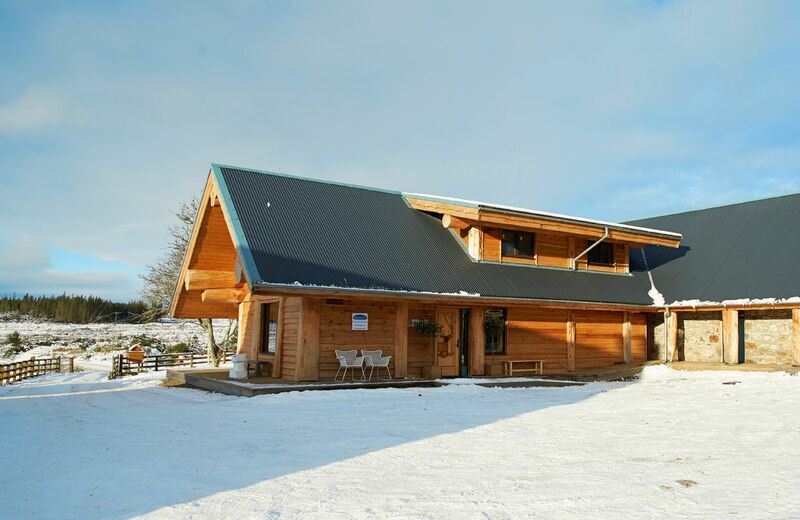 We would definitely recommend the lodges and location to friends and family. Lovely location very clean and spacious fantastic hot tub . Perfect stay. The lodge surpassed our high expectations. The cottage was beautiful, clean, spacious, modern and just perfect. Absolutely amazing. Could not fault it. Cannot wait to return!! What a wonderful truly rural retreat!! Brook Lodge was a stunning Lodge, set in beautiful surroundings. It was spotless on arrival with every attention to detail thought of including the welcome hamper. Truly loved it and would love to go back. P.s. Hot Tub so relaxing. Recently awarded a five star AA award, this delightful lodge on Wakes Hall Farm is a haven of peace in 500 acres of private land. Featuring an open plan kitchen/dining/sitting area, a verandah and a hot tub. The historic town of Colchester is 40 minutes away. 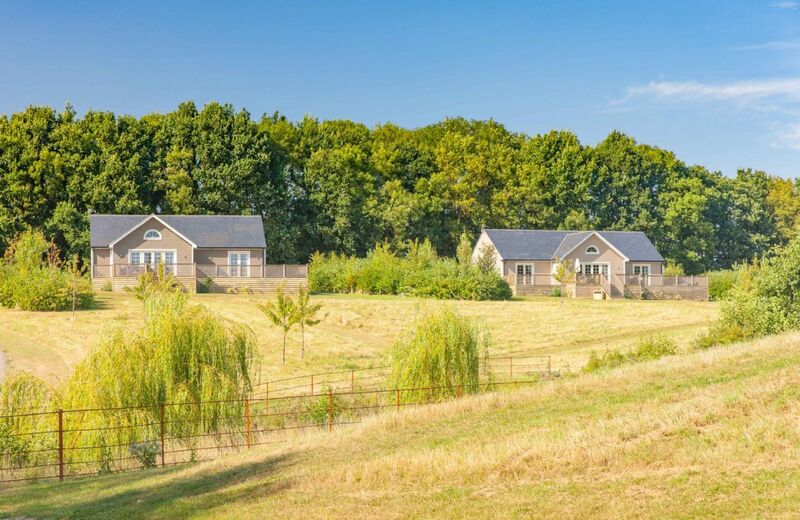 Situated on the Essex/Suffolk border, this stunning lodge is one of five lodges on Wakes Hall Farm, a haven of peace in 500 acres of private land. Recently awarded a five star AA award, each lodge has the ultimate indulgence – a soothing hot tub with its own verandah. Beautiful location, lovwely people. Will make sure we go back in the near future! It was the best cottage/lodge we have ever stayed in, facilities excellent, and really welcoming hamper when we arrived. A stunning cottage with unique semi-attached heavenly master suite. Owned by a garden designer, everything is beautifully done. Best equipped rental we've ever had as well as the most generous and thoughtful welcome pack. Situated perfectly, albeit down a very rural country lane, for everything East Sussex has to offer - we visited the tennis at Eastbourne, among other attractions such as Firle Park and Chartwell. Village of Ripe just idyllic and the village shop is a wonderful resource with very friendly locals! Such a wonderful stay at Cherrystone Barn for our honeymoon. Beautiful location and the cottage is to such a high standard. So comfortable with all the little touches. Nothing is overlooked. Our dogs loved the surrounding walks (as did we) and we all can’t wait to go back! Beautifully decorated and modern property. Fabulous location and friendly owners. Fabulous property, really comfortable and well equipped, thoughtful touches including excellent welcome hamper. Beautiful garden and outlook. Wi-Fi code took a while to locate - suggest it is made more obvious. However this is a minor detail in what, for us, was a perfect weekend retreat. Thank you. Such a wonderful place to stay. 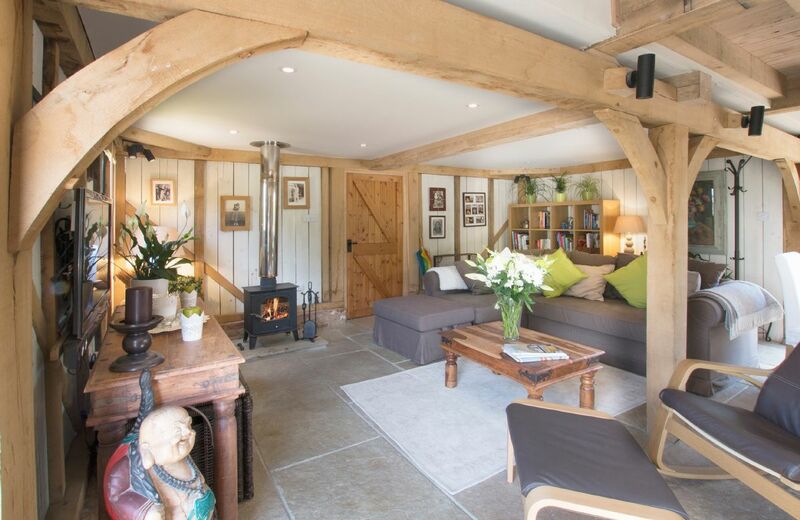 The barn was so well equipped, very comfortable with a lovely big enclosed garden. In a great countryside location. We just loved it and didn't want to leave! 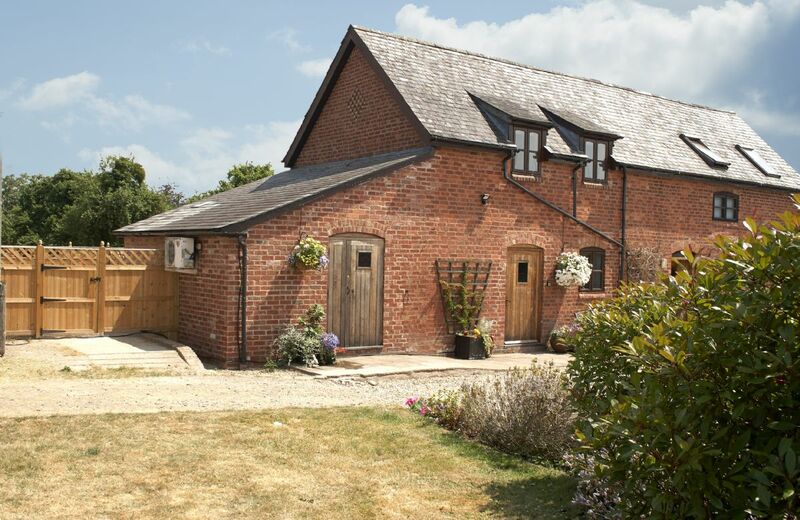 The Barn is located in a quiet village in its own setting with parking and secure, dog friendly garden. It was very clean and welcoming with a delightful hamper. It is very tastefully furnished and decorated with all facilities and equipment needed to make our stay comfortable and most enjoyable. We would definitely recommend to others, particularly those with dogs. Thank you for your lovely feedback and recommendation for Cherrystone Barn. We are delighted that you had a comfortable and enjoyable stay. Lovely barn in a wonderfully peaceful location. Beautifully appointed and blissfully private. We did some wonderful walking in the area and the owners could not have been more helpful. Beautiful barn, everything you need & more. Property warm and welcoming as was our host. Everything has been thought of to provide all that is required. Whole property spotless. Very comfortable bed too. Another great review for Cherrystone Barn. Many thanks. We had a really lovely time at Cherrystone barn. Welcome pack was a nice touch and the barn clean and cosy just what I had hoped for. We took our two dogs who had as much as a good time as us. Garden nice and secure. We would definitely recommend. A quality stay, an enjoyable hamper, a comfy bed and all the luxuries provided. Cherrystone Barn was absolutely fantastic. The property was lovely. It was in a ideal location, not to far from some very scenic places. The barn was very dog friendly and was like home from home. This is an excellent place if you want to chill out and relax. What a lovely review of Cherrystone Barn. Thank you so much. Heating system an issue. Control of heating less than satisfactory. The temperature of the heating should be in the control of the people staying in the barn. Overall a lovely property and would be great in the summer. 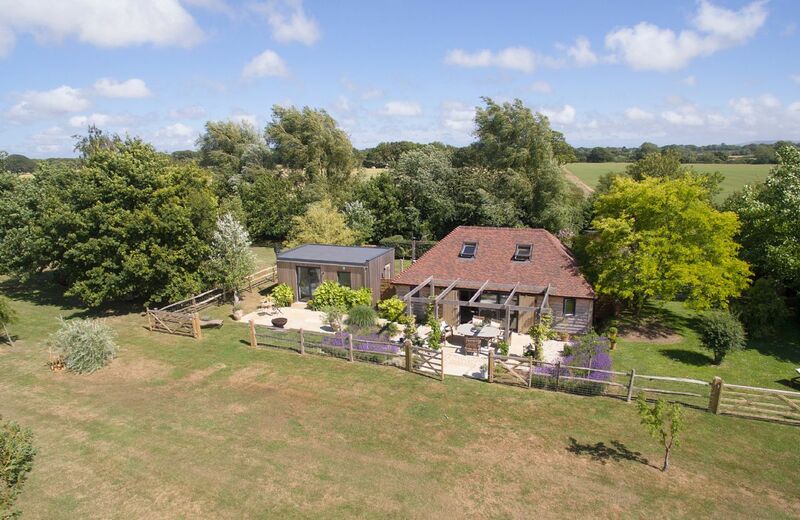 Cherrystone Barn is a bespoke oak framed barn recently refurbished in a contemporary style while retaining some of its original features and providing a state of the art boutique master bedroom. The property is set within the grounds of Cherry Cottage and is a truly idyllic, secluded location with its own; driveway a charmingly pretty, enclosed garden with a luxurious hand-crafted Scandinavian Wood-Fired Hot tub. Super customer service from the staff. 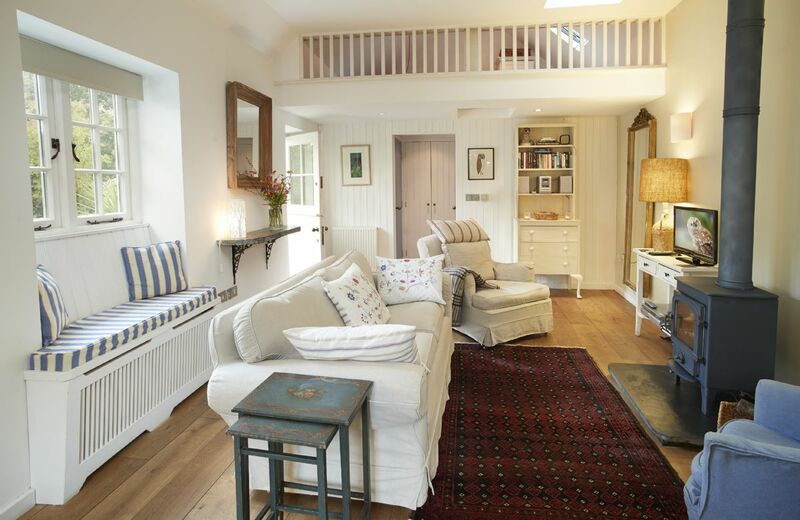 Idyllic and simple luxury at the cottage. Problem with smoke filling rooms when fires lit, told not to use the bedroom fire as it fills the room with smoke. Have you ever heard of carbon monoxide poisoning. Thank you for your review. I understand that the owner of the cottage advised that the log burner in the bedroom may smoke a little on first use as the previous guests hadn't used it. They wanted to reassure you that the chimneys and fires in Hex Cottage are swept and serviced monthly following a strict policy. Carbon and smoke detectors in the cottage are check every two weeks. The Wilderness team would have been more than happy to visit with you during your stay to discuss your concerns had they been made aware at the time. 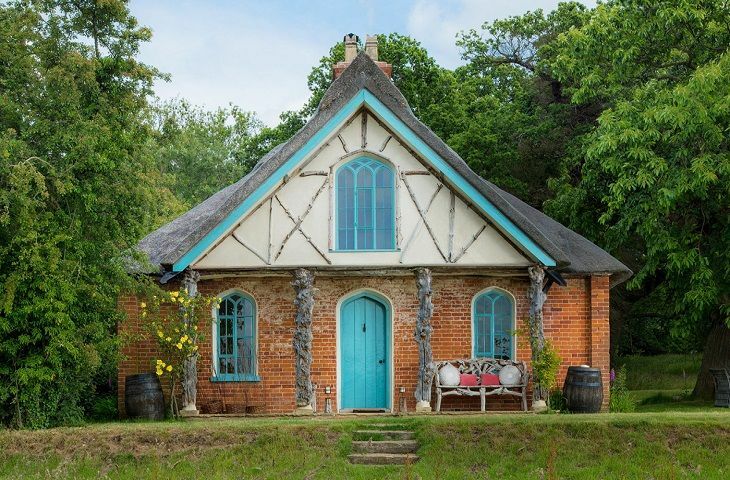 Hex Cottage is our first ‘Lost Collection’ country retreat, a beautiful thatched forester’s cottage set within its own meadow and surrounding woodland. The cottage comes without electricity so our guests can experience undisturbed peace and a real sense of bygone times. 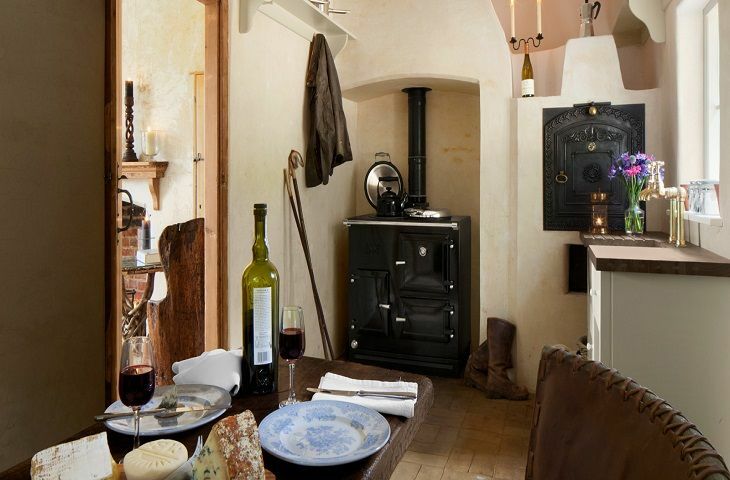 However, the Esse wood-fired range cooker in the kitchen & dining area expertly heats the cottage and provides endless piping-hot water. 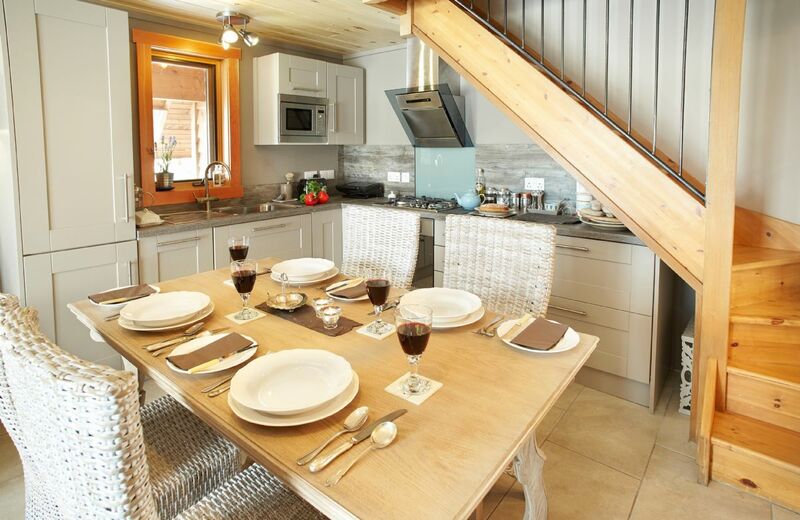 Excellent Cottage with everything you need for a relaxing short break away. Loved the welcome hamper provided also. 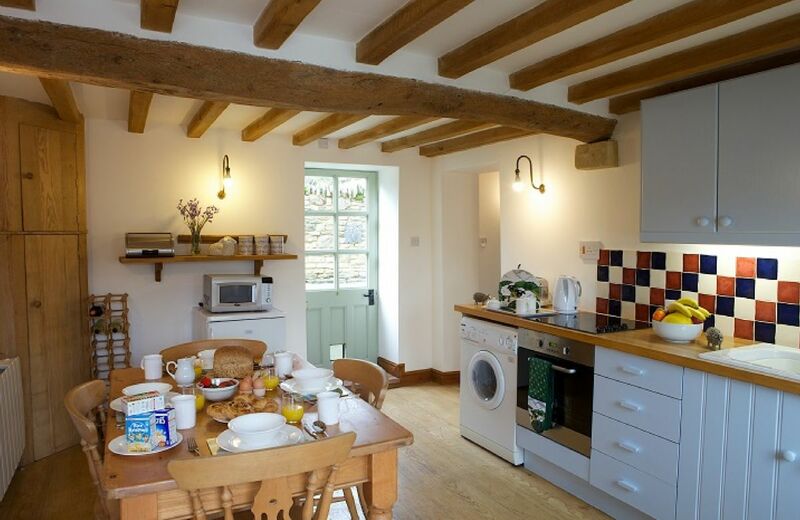 It is a lovely cottage and has everything needed for a good break. The cottage was possibly in need of a little tlc. Upstairs excellent. Kitchen not designed very well. Lack of work tops, storage. Astroturf(new to us) rather smelly (obviously with dogs) and not inviting to sit in garden. Neighbour had 7! cars so a bit car parkish. But Naunton super village. Pub excellent. Well placed for a holiday. Great location for walking and visiting other places. Ideal cottage for the two of us and a dog. Plenty of information and support from Sarah. No cheese in food hamper. When opening the fridge the milk fell out as the front to the storage shelf was broken. Toilet flush very difficult to pull down and flush properly. Light above wash-hand basin did not work. Tap in wash-hand basin drowned you every time you pulled it up. Not possible to put it on gently. No air freshener in toilet. Not impressed with kitchen layout and cleanliness of kitchen. Would have expected a new pair of rubber gloves and washing cloths. Thank you for your review of Hope Cottage. We are very sad as the property usually has really lovely reviews and the last two have even described it as 'perfect'. We will, of course, put your comments to the housekeeper and look into the maintenance issues. The cottage was perfect. Lovely and quiet but just two minutes walk to a great pub with amazing food. Great walking routes on your doorstep and being a dog friendly property was incredible. Beautiful and cozy decor and the bathroom underfloor heating was such a luxury. Just loved the log burner and the WiFi worked great. Can't recommend highly enough for anyone looking for some cozy tranquillity. We had a wonderful break. The cottage was perfect with lovely walks nearby and a great pub for refuelling. Fantastic cottage, really warm, cozy, quiet and well equipped. Hamper was well thought out and very much appreciated. Great location for seeing the Cotswolds and set in a beautiful village. Would recommend in a heartbeat. 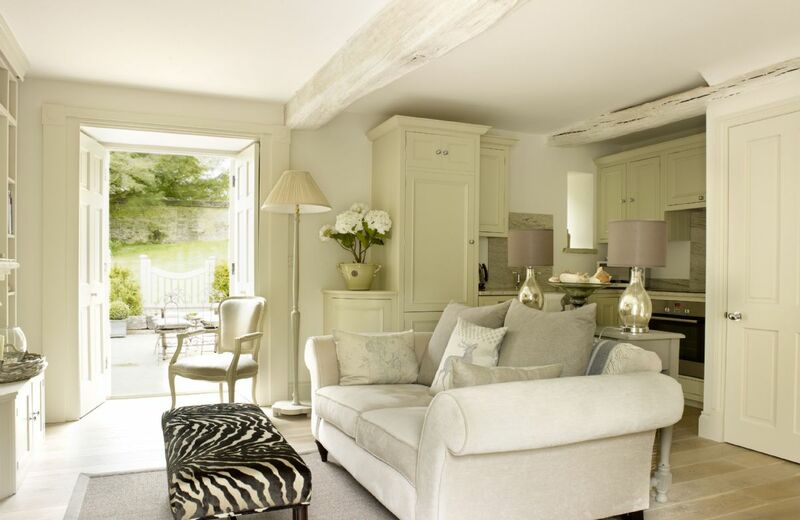 Fabulous cottage in an idyllic setting in the Cotswolds. Ours was a Christmas break at the cottage, and the welcome hamper waiting for us when we arrived was amazing. The cottage was cosy and had everything you could possibly need for a self catering break. The village pub was great, lovely meals and very welcoming, even to our little dog. Thoroughly enjoyed our Christmas stay and will definitely return again. What a great review for Hope Cottage. Thank you. I am delighted that you had such a lovely Christmas in Naunton. 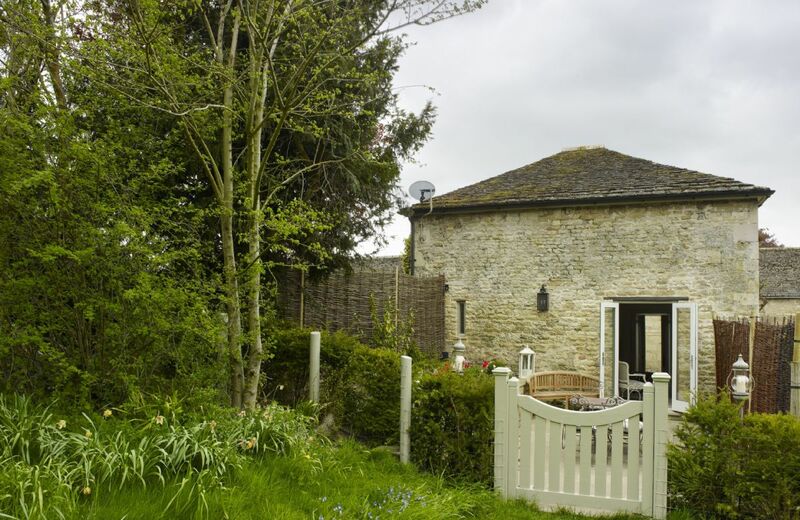 A beautiful, comfortable cottage, a great base to explore the Cotswolds from. Lovely cottage - exactly what we expected! Everything we needed was there - truly a home from home. Thank you for your review. 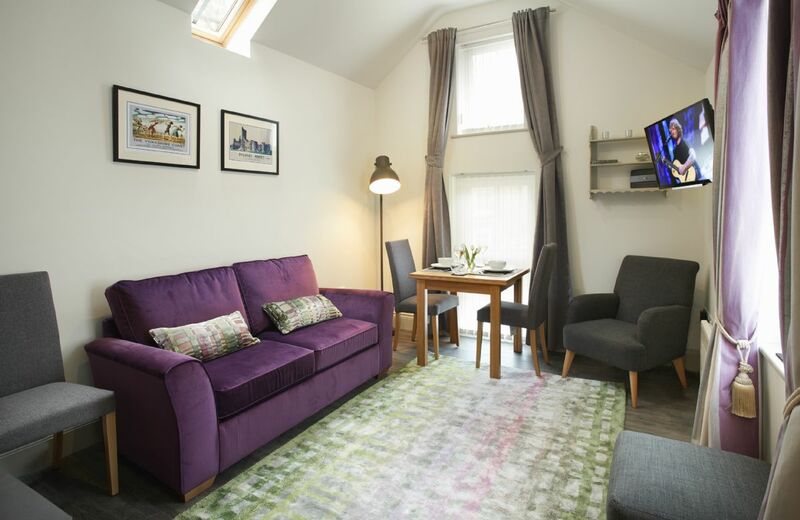 We do not actually advertise the rooms in the loft space as we agree that the access is not suitable for our guests - hence it is on our website and in our brochure as a one bedroom property. Beautiful cottage, excellent facilities especially the bathroom and quality bed linen. Excellent hamper to welcome us. An amazing cottage in a lovely location. We will return. Ideal for couple with/without a dog. Good pub nearby and good walks. 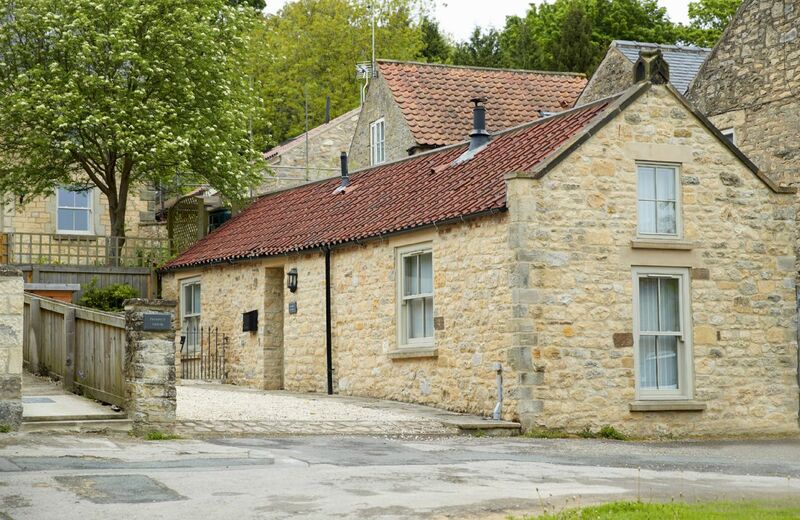 The cottage is in the village of Naunton, which is an ideal base for some amazing walks. Hope Cottage is pretty and well equipped. The hamper was a really nice touch on arrival. Hope Cottage itself was well prepared. Naunton is a lovely village with a good pub. However, there is no grocery shop. Thank you for your lovely feedback for Hope Cottage. Minute garden and no dishwasher but many positives too. Lovely refurbishment and presentation in a good central location, especially for walking the dog. Off-road parking and the enclosed garden are appreciated. Thank you for your review of Hope Cottage. The comment regarding damp has been investigated and the owners have been advised that there is not an issue with damp at the cottage. It is possible that, on this occasion, some of the logs for the fire may have been stored without being fully dried out and this may have been the reason for the reference to damp. 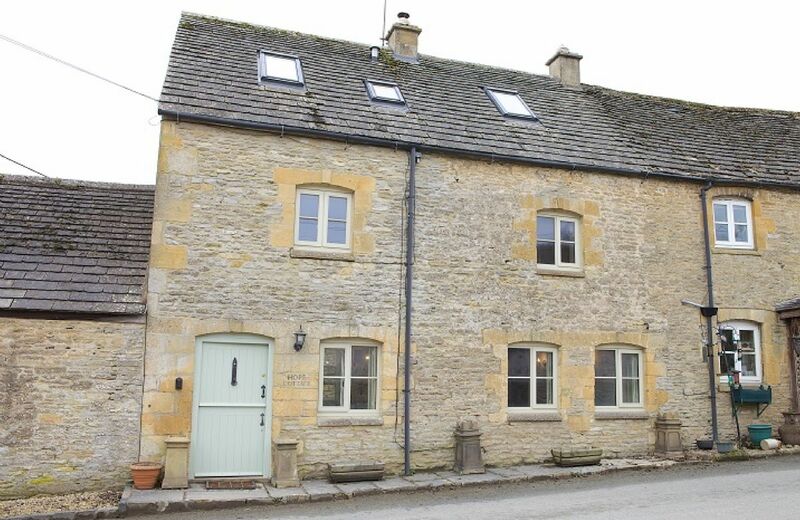 This fine Cotswold stone property lies in the picturesque village of Naunton, which is situated alongside the River Windrush in an Area of Outstanding Natural Beauty. 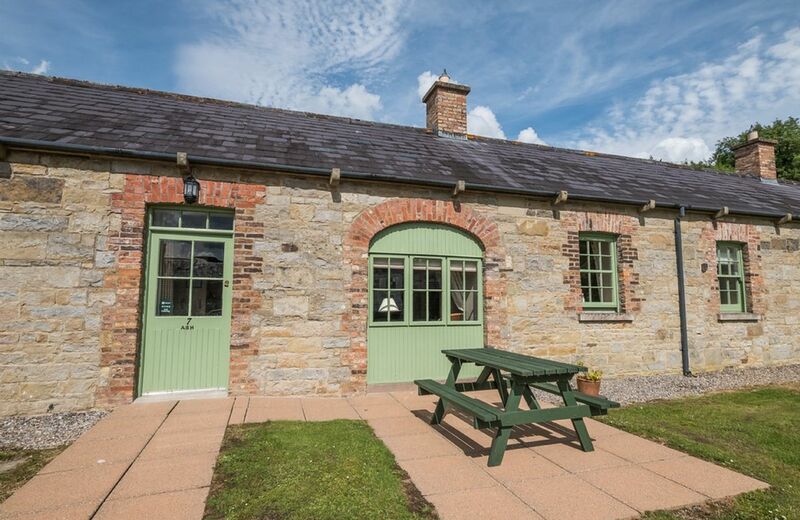 The cottage has been refurbished to modern standards, but retains many character features. For holidays taken between 15 April 2019 And 31 May 2019 Minimum of 3 nights booking. We always use Rural Retreats when booking our accommodation when visiting the UK. 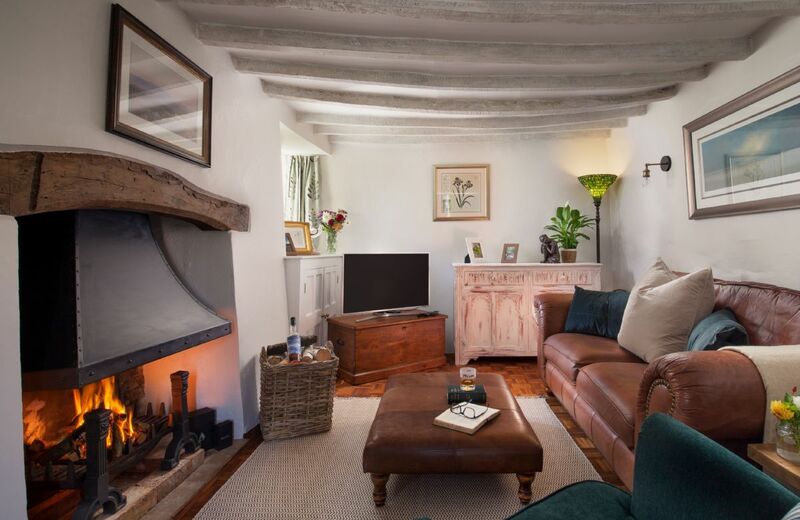 We aim to select a variety of different properties and the choice of Inglenook Cottage was perfect for our quintessential English cottage experience. 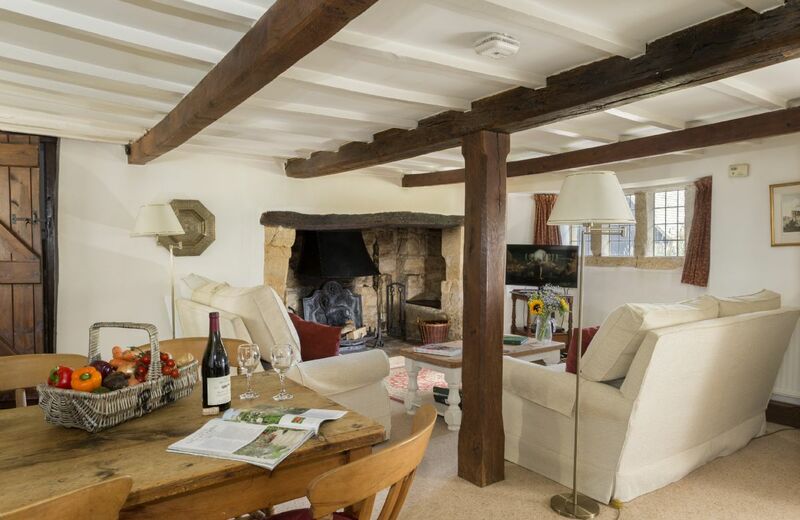 It is exactly what it says and is a delightful, well appointed cottage in a superb Cotswold village. Lovely cottage in Broad Camden with a good pub 500 metres away. The welcome hamper was the best we have ever had and there was a nice cheese board left for us in the fridge as well. The location of this cottage was perfect for driving out to other Cotswolds villages that we wanted to visit and it was only a 30 minute walk into Chipping Camden. we really enjoyed our stay and are already looking for next New Year. This was the perfect romantic get away for the two of us, two weeks into our relationship and our first weekend away. Plenty of wood for cosy night guys by the fire and a good pub nearby for sustenance. A good, proper and true British cottage that hasn’t been over modernised. Perfect! This was a very nicely appointed cottage and we especially appreciated the basket of goodies left for us. The bedroom would definitely benefit from a room fan as is very still and can be stuffy with only one tiny window for ventilation and the duvet was 3 inches thick! We could not have enjoyed our stay here more. 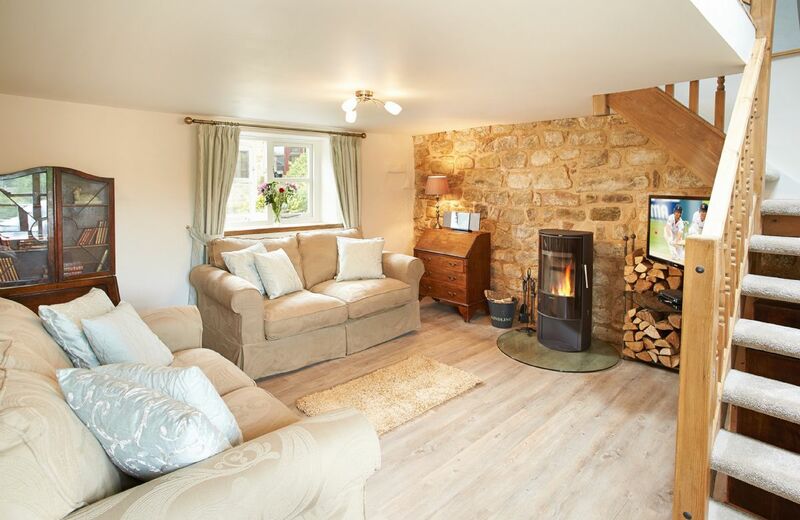 A beautiful, cosy cottage and the ideal location from which to enjoy the area. A real treat to call the cottage our own for a few days, thank you. Beautiful cottage, lovely location, great fire! Welcome hamper was perfect - provided us with most of what we needed. Parking was a bit of an issue as there was no parking outside the cottage which was on a bend on what was a busier road than you might expect. Lack of parking needs to be made clearer on the cottage info page. Messy view from small sitting room window as garden materials stored there and dirt and leaves piled up. Just needed a good sweep and tidy. The washbasin in the bathroom was blocked and we felt the bathroom needed updating. The rest of the cottage was very good, clean and well equipped and very charming. Excellent location. Good pub food in the villlage within walking distance. Nice courtyard garden. Excellent welcome pack and fresh flowers which was really good. Whilst the cottage was generally lovely and in a great location the bathroom is wholly inadequate. The flush on the toilet is intermittent, the water did not drain from the washbasin and the shower over a narrow bath was difficult to use. This is not a cheap cottage therefore the bathroom standard needs to be better. We would not book this cottage again because of this. Perfect in every way. 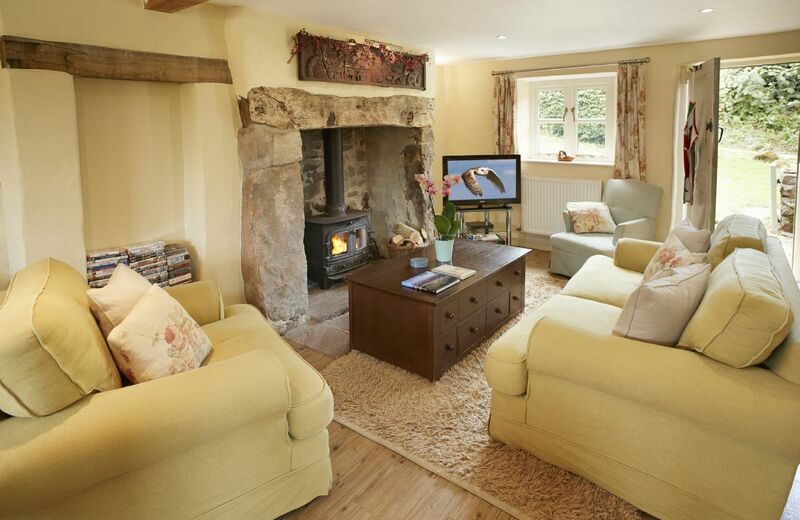 Beautiful, well equipped cottage in a pretty little village 1 mile from Chippen Campden. Fab pub just up the road. The welcome pack for Christmas was fantastic as was the service from the agents. Love it and will be back. Thank you. Thank you for your wonderful feedback for Inglenook Cottage. We are delighted that you had such a great time. A very nice quaint cottage that dates back over 300 years, which shows in the height of the ceilings and challenging stairs. Lovely typical small Cotswold village location with decent traditional, dog friendly, pub five minutes walk away. Well located for access to North Cotswolds attractions and walking areas. Chipping Camden is a very short drive away (walkable) where you can get all you need. Adequately equipped to cater for two. Note that there is no access to the back garden other than through the cottage. Not much of a problem in good weather but may present issues if needing to get a muddy dog through! Thank you for your lovely comprehensive feedback for Inglenook Cottage. Whilst the cottage was steeped in history unfortunately the "quirkiness" became tiresome and uncomfortable quickly.The standard of upkeep left a lot to be desired e.g. lounge carpet was filthy; the small ring on the cooker hob did not work; the smoke alarm battery needed replacing and no appropriate battery was in the cottage. The bath was too high to comfortably step in and out of to shower. I am so sorry that you werent entirely happy with Inglenook Cottage. The cottage usually has excellent comments about its cleanliness and we will certainly look into the issues that you mention. Inglenook cottage is the most beautiful place we have ever stayed in. We fell in love with it the minute we walked through the door. It was so quaint. full of character and so romantic in the loveliest little village. Words cannot describe how beautiful this cottage is. Attention to detail was second to none. The hamper of food and wine was such a beautiful touch. It is the most relaxing luxurious little cottage. Just love it! Will be going back again and again if we can! The Cottage was spotlessly clean and very comfortable. It had everything you would need if you wanted to cook all your meals. The hamper which was provided was wonderful. We thoroughly enjoyed our stay. Just mind the low door frames. The cottage was great, it was very clean and had everything we needed. We also thought the welcome hamper was really good and far better than we were expecting. I also liked that I received a call on Saturday to check everything was ok. We have booked 2 weeks in August in one of the Trevose lighthouse cottages and really looking forward to it! Excellent accommodation. Welcome basket and the fresh milk/cheeses was a great touch. We're already looking into our next stay. 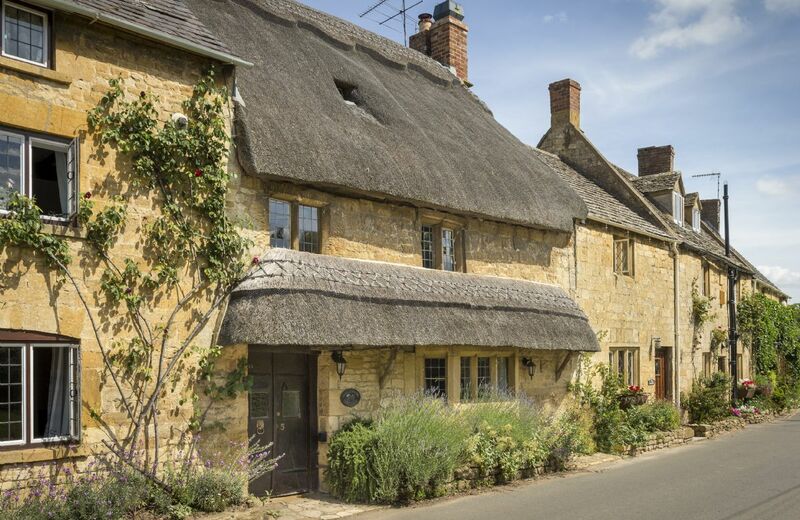 This 300 year old Grade II listed Cotswold stone thatched cottage in Broad Campden is a former smithy. It is bursting with character and its original features include a large inglenook fireplace, exposed beams and a stone staircase. Drenched in history and charm Kites Holt, part of Kites Cottage is a 500 year old Grade II listed Medieval Hall House that sits within the centre of the beautiful village of Stockland. A stunning, one bedroomed, beamed thatched cottage with the benefit of its own private entrance into the original hall of the cottage dating back to circa 15th century. I would have given 5 stars, as cottage and location were lovely, however when we arrived all the upstairs windows were open and there were lots of flies inside. Ceaning was not done to a high standard - there was a broken biscuit left on the downstairs rug, and a half eaten breadstick had been left in the kitchen. There were no black bin liners provided for the waste bin, and both outside wheelie bins were full, and had not been emptied for some time - presumably as no dates for which week either of the bins were collected had been provided. We had no broadband for the whole week, even though we reported it to the housekeeper on arrival. Lovely cottage in a great location. Disappointed with the cleanliness though, and provisions provided. There was food left in the cupboards from the previous occupants. The fridge wasn’t clean and we had to defrost the freezer ourselves. There was also no washing powder, soap or toilet cleaner provided which was frustrating. We also booked through RuralRetreats but there was no mention of them in the cottage, everything was NorfolkHideaways. Thank you for your feedback. I am so sorry about the issues that you encountered and I have brought them to the attention of the housekeeper. 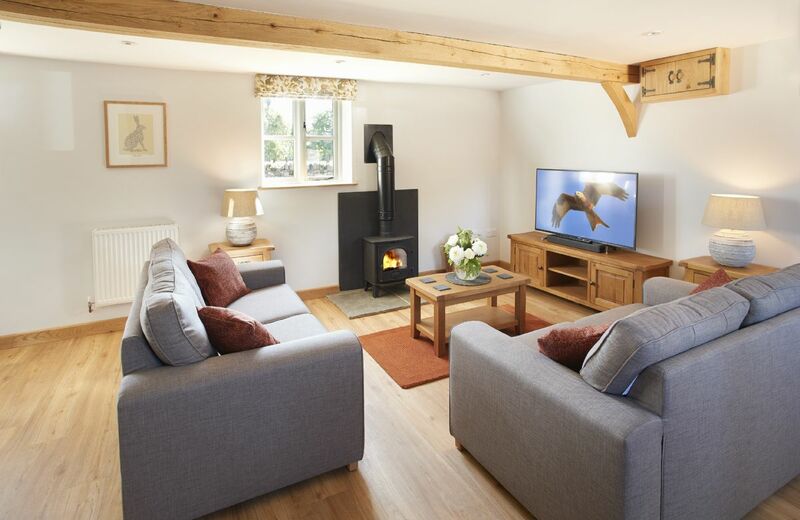 Rural Retreats and Norfolk Hideaways are sister companies and Little Star is jointly marketed. Delightful little cottage, secluded snd beautifully furnished. Pillows rather hard - personal preference would be for something softer. Bedside lights inadequate for reading, although there was a bright centre light. Having said all that, it was a very pleasant and comfortable stay. The cottage was lovely although a little dark in the kitchen and living room. Unfortunately the staircase was steep and this caused us some problems. All in all we enjoyed our holiday in the sun making full use of the enclosed back garden. Very well presented and designed.. Everything as shown on website. Not really a moan but the freezer needed defrosting and the garden furniture cushions had been out in the rain. Lovely refurbished cottage excellently furnished. Spotless in all areas. Lovely welcome hamper. Ideal for our dogs with enclosed front and rear garden. Close to lovely beaches and local pubs. 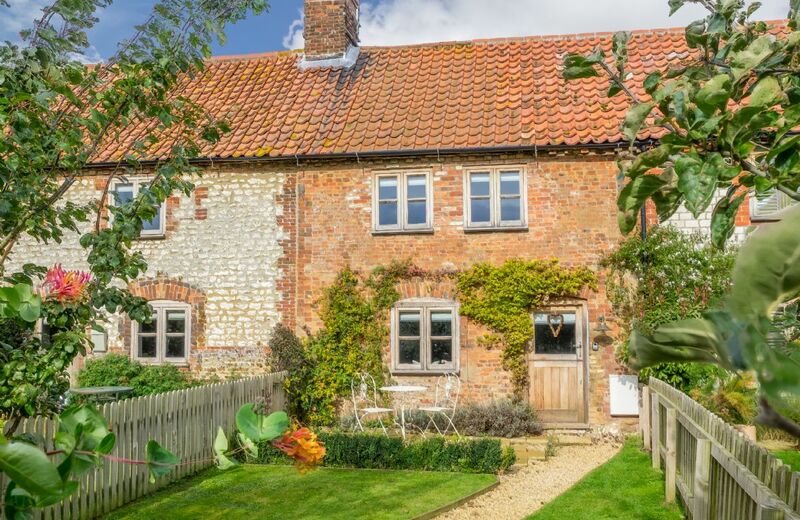 Tucked away in the pretty village of Ringstead, just two miles from beautiful Old Hunstanton beach, is this romantic Norfolk flint terraced cottage for two. 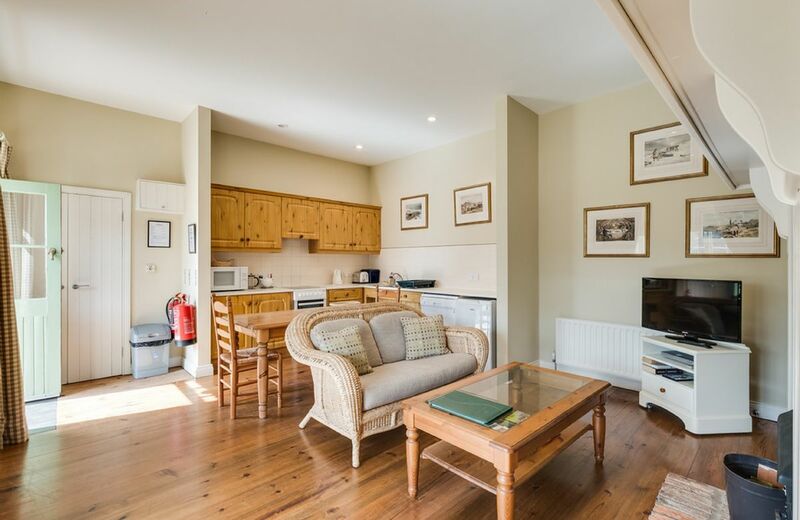 With rustic coastal charm in abundance, Little Star offers guests laid back living in an great village location with popular pub and village shop. 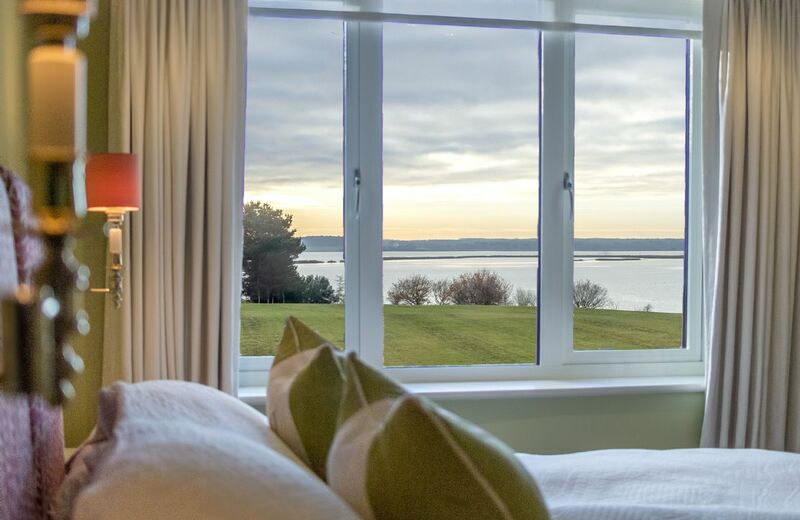 Marsh View is a sophisticated, contemporary ground floor apartment for two guests, overlooking the glorious, unspoilt Hazlewood Marsh and the River Alde. The delightful seaside destination of Aldeburgh is in easy reach. Well appointed cottage. Good dog walks from village and at Ampleforth Abbey. Good food at village pubs. Some cupboard space would be helpful. Still no appliance instructions, I reported this last time we stayed. TV is a mystery! Parking not good, very difficult to reverse out especially when someone parks right at the entrance of the parking space for the cottage which seems to be all the time. Very good comfortable accommodation which was just enough for 2 people and our little dog. Generally well equipped, but small saucepan (or small set of saucepans) for at least boiling eggs would have been useful. The welcome hamper was excellent with a very comprehensive selection of goods to get us through the initial days. TV coverage via use of the internet TV arrangement was not very good. The location was good a nice village. The cottage although was only for two people I found the kitchen area was on the small side the lounge was ok as was the bathroom but my main concern was the bedroom. Lack of hanging space we only had coat hooks no wardrobe which I was expecting. Also the hoover was in the room as were other cleaning items so this was not up to rural retreats standards. We have stayed in other rural retreats befor and hopefully we will stay again. 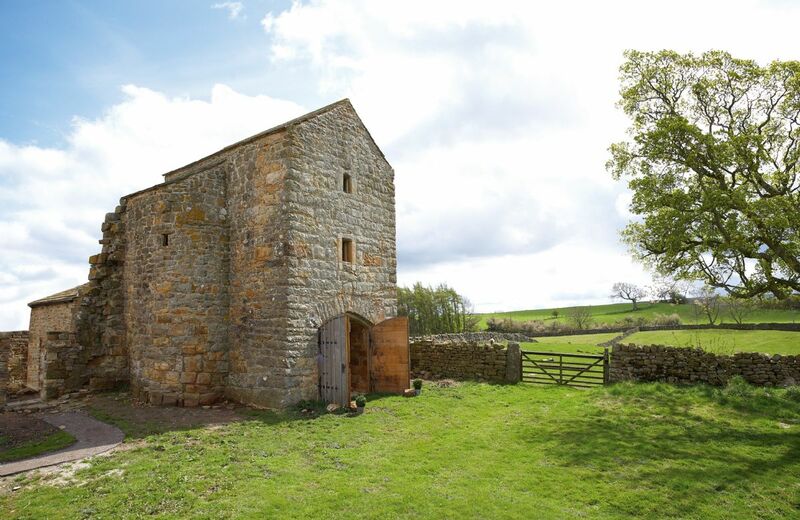 This former stonemason’s workshop in the heart of the village of Ampleforth, has been beautifully renovated into a light and airy bolthole for two and a perfect base for exploring all of the beautiful countryside and coast of North Yorkshire. For holidays taken between 17 February 2019 And 30 April 2019 Minimum of 3 nights booking. Beautiful location. Charming, well equipped cottage. Warm welcome. Returned to the beautiful Orchard Cottage having had an idyllic stay here in the summer months. Just as magical in the winter season. Cosy evenings in front of the log burner after walking miles through the woodland walks which are right on the doorstep. Simply perfect! A stunning little hideaway with the most amazing scenery. Forest walks right on your doorstep and ideally situated for sightseeing trips without having to venture too far. The cottage is beautiful and caters for all your needs, lovely welcome hamper. My daughter and I stayed at Orchard cottage with our dog for a week in June 2018. What a wonderful location. It was truly peaceful, and a great base for exploring the beautiful area of the Wye Valley and beyond. The cottage was truly idyllic, well equipped and very clean. 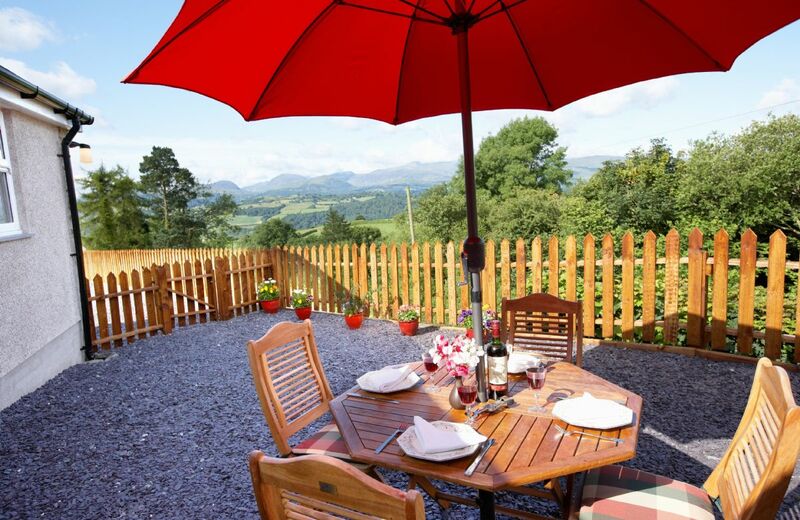 We had our own private terrace for relaxing, and two nice areas to sit and enjoy the far reaching unspoilt views. The owners of the cottage made us feel very welcome and were very respectful ensuring we had privacy. However they made sure we had everything we needed. We will be going back to this cottage, we could not fault anything. Beautiful comfortable cottage. Very quiet and peaceful. The owners and their dogs made me very welcome. I would thoroughly recommend Orchard Cottage for a relaxing break. Thank you for the warm welcome and the great time we spent in the idyllic Orchard Cottage (although there were only a few days). Many thanks to our hosts for creating a truly beautiful and comfortable gem that makes you feel at home. Everything was fine (even the weather; o)). Just right for two people to relax and unwind, with many opportunities for walking and exploring! We like to come again! The cottage couldn't have been more welcoming, well stocked for cooking meals, lazing by the fire after a long day walking and we even had two chocolate bunnies left for us as it was Easter. From the large bathtub to the comfortable bed and beautiful woodland walks on the doorstep, we couldn't have asked for more from our lovely hosts. Thank you. Another great review for our little gem Orchard Cottage. Thank you so much. 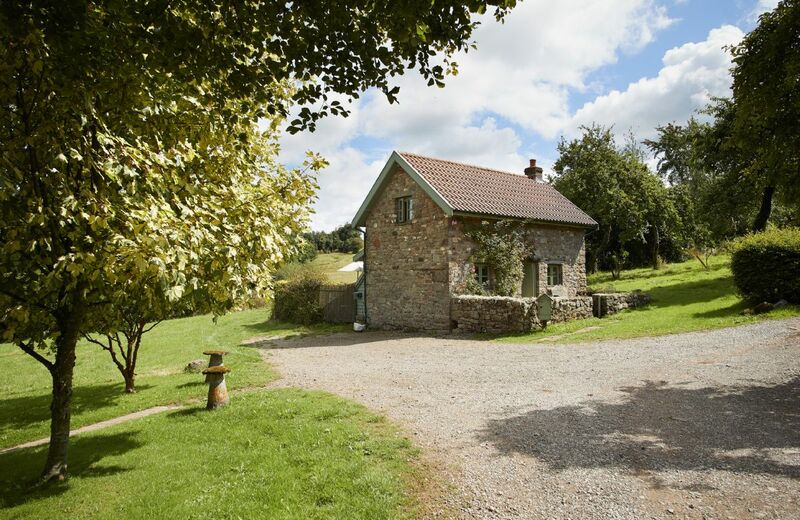 Delightful, peaceful cottage in wonderful setting with lovely views. We were warm, comfortable and well provided for. We hope to visit again in a different season. The cottage was well appointed, comfortable and cosy. It was in a lovely peaceful setting, with great views. Within easy reach of interesting places and walks. The owners were welcoming and helpful. A beautiful cottage in a tranquil location. Very welcoming hosts with an excellent hamper. This is our second stay at Orchard Cottage and it won't be our last. Love it! Brilliant cottage: comfortable bed, everything you need in the kitchen, decent telly, lovely front garden and back terrace, wonderful location, nice owners - I could go on... we intend to go again, as some have done multiple times. What lovely comprehensive feedback for Orchard Cottage. Thank you so much. Great cottage, lovely and helpful owners nearby who gave you all the space yet were there if you needed them, dog friendly, lovely peaceful location yet convenient to travel to, very comfortable and massive bed, clean, tidy and up together. Thank you for your lovely full review of Orchard Cottage. Everything was perfect, the accommodation, the setting, everything. We had the trip of our lives. Thank you. Beautiful cottage, done and maintained to a high standard. We had a lovely welcome on arrival and really enjoyed our stay. The cottage was absolutely gorgeous as were the lovely couple who run it! We had a lovely few days relaxing by the fire, eating from the hamper and going for walks. I would highly recommend Orchard Cottage!! Very friendly owners, excellent cleanliness and attention to detail. I would recommend this little gem to anyone. In a peaceful Wye Valley hamlet near Chepstow, this hidden retreat enjoys far-reaching views towards the Black Mountains. Recently renovated to a high standard, the cottage is extremely comfortable and ideal for exploring the beautiful border countryside. Lovely cottage in a very quiet location. Plenty of logs for the fire and a generous welcome hamper which was a lovely touch. We enjoyed our stay very much and would definitely recommend Owl House if you’re looking to get away from the hustle and bustle of everyday life! Main issue- Road access very very poor even dangerous and not properly described in the brochure. Stressful even out of season. FROM THE OWNER -We’re sorry you found the narrow lanes so difficult, but to some people this is part of the charm of the cottage. To quote previous guests: Owl house is " far out in the peace and quiet of the countryside” and, while "down a tiny access lane, it is Cornwall, and the real beauty of Owl House is its location in what is a tiny hamlet.” Sadly it is outside our control to change the ancient country lanes. The council do keep the hedgerows well trimmed though. We thoroughly enjoyed our stay at Owl House. Very compact little property but with everything you need. Incredibly peaceful both in the cottage and the private terrace area yet only a 20 minute walk away from Wadebridge and ideally positioned to reach all the beaches we wanted to in super quick time. We were very lucky to have amazing weather and the housekeeper was very helpful in supplying us with extra sheets to replace the unwanted duvet – thank you Sarah. Being able to bring the dog along as well was a bonus for us as lots of other places we had looked at do exclude them. Wouldn’t hesitate to recommend. Owl house is very quaint and ideal for exploring the Cotswolds. Ideal for 2 persons. Although older persons mat find the stairs/bedroom/bathroom hard to deal with. The Owl House is a very charming place to stay. An ideal location for exploring the local area. It is a peaceful, relaxing place to come back to at the end of the day. Otima posizione tranquilla ma non lontana dal centro. Arredato con gusto, piacevole anche lo spazio esterno con tavolino. Well located, well equipped, well decorated and - as the website says - silent at night apart from the owls. Would definitely go back. House was ideal for the two of us. Very nicely furnished and equiped. It meeted our needs very well. Lovely cottage. Very quiet. Welcome hamper was very much enjoyed. We had a slight problem with the heating and Sarah came out within a hour or so and later that evening one of the owners of Owl House phoned to make sure everything was ok (which it was). A good property and well maintained,the only comment I would make is that the photos gave the impression that the property was near to the sea, which is incorrect. We have stayed at Owl House many, many times and keep returning. It is a magical place which offers a real opportunity to switch off and enjoy peace and quiet in seclusion - whilst being in a location that makes all the local attractions and coastline easy to reach. 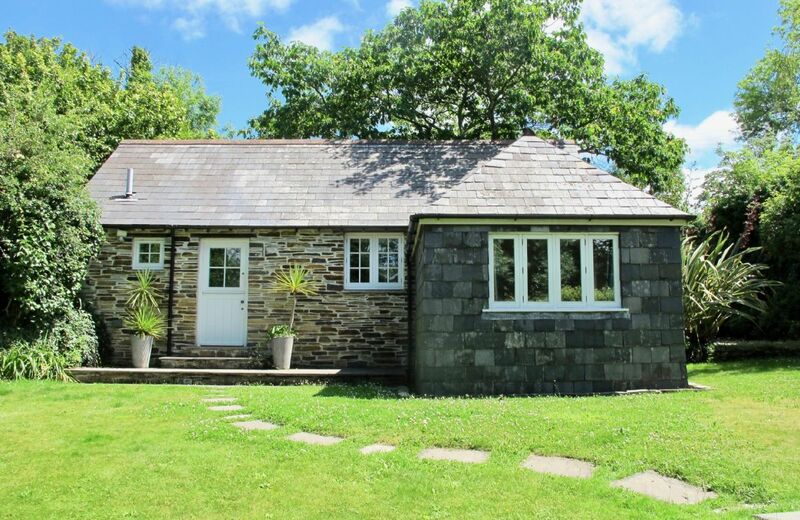 We are not lovers of returning to the same place but have made an exception over the years with Owl House because we have yet to find anything better for just 2 adults and a dog with good access to the North Cornish coast. Yes, it is small but as the description says it is a converted Shippen! It has everything you need and is more than comfortable for a great holiday. Contrary to previous reviews there is really nothing wrong with either access or parking. Yes, it is down a tiny access lane but it is Cornwall and the real beauty of Owl House is its location in what is a tiny hamlet. We will be there without fail in 2018. The owners have done as good a job as can be expected of a small proper like Owl House. The property is good but at a price of a luxury property. I have stayed at far better properties at a lower price than Owl House. Thank you for your feedback. I am pleased that you thought Owl House was a good property but sorry that you weren't happy with the cost of our Cornish shippen. Access road and parking inadequate. Needs a washing machine and drying facilities. Owl house best described as "tired". Has obviously been furnished cheaply and is not good value for money. Thank you for your review. We are extremely sorry that you were not happy with Owl House and we have forwarded your comments to the owner. We had a lovely stay - clean, cosy and comfortable. Really loved the cottage would definately book it again, the welcome basket is a really nice touch. First Class , clean and even a Xmas tree to greet us. Many thanks had a great time thanks to the House Keeper eye for detail !! We were pleased with the cottage in general but felt that the bed was uncomfortable due to a lot of use and needs replacing. We also felt that the property was expensive for the size of the accommodation. The housekeeper was very helpful. 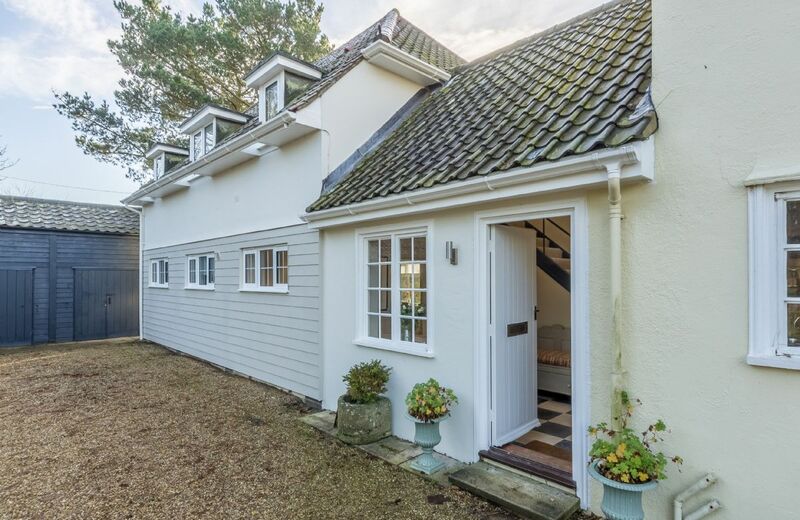 Owl House, in the quiet hamlet of Treneague, within walking distance of Wadebridge, is a neat, converted stable standing in the grounds of a 17th century cottage which is not overlooked. 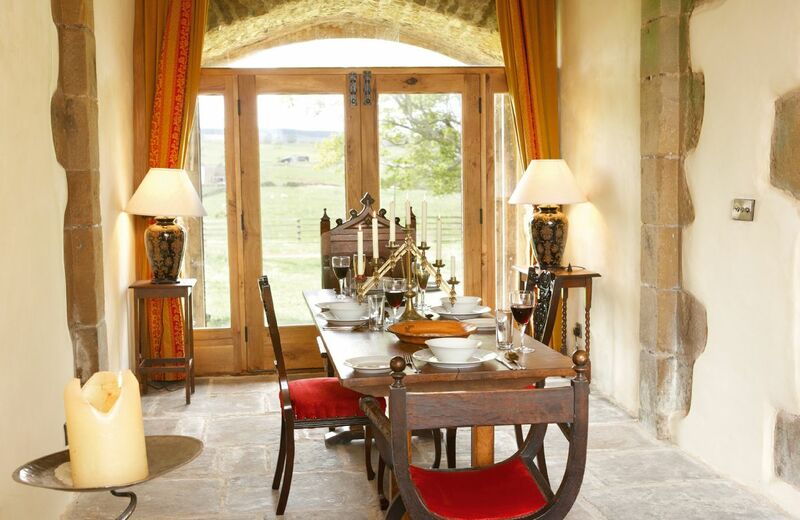 French windows lead to a secluded terrace with fig trees, yuccas and dry stonework. With only the sound of owls at night, this is a restful location. For holidays taken between 16 April 2019 And 4 June 2019 Minimum of 3 nights booking. Accommodation was first class and the location was good in terms of things to do. Enjoyed our stay and would be happy to return. Pear Tree Cottage is an extremely well-appointed and comfortable holiday home in a wonderfully rural location. 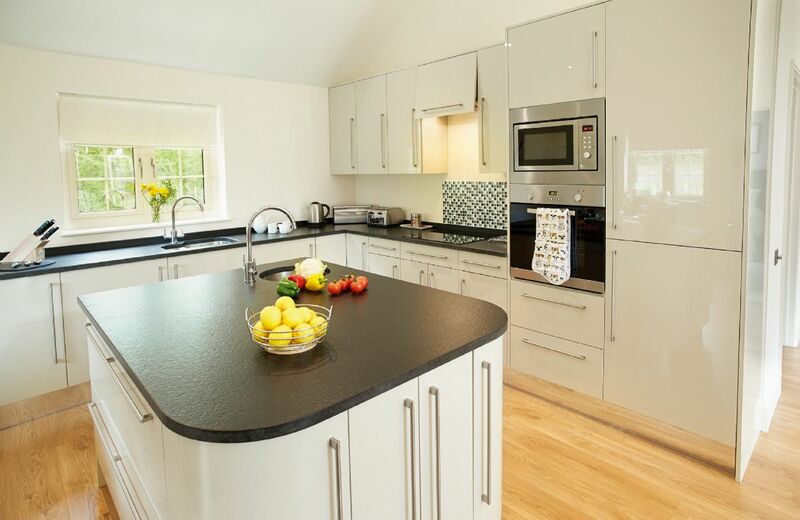 It has a brand-new fully equipped kitchen and a very modern en-suite with a fabulous shower. All this in a refurbished barn sympathetically decorated keeping the buildings original character. A real ‘get away from it all’ spot, but only 15 minutes’ walk from the pub and a short drive from the lovely town of Ludlow. The dog came too, and she had a ball being able to run free in the surrounding fields. The welcome pack was just the job, plenty for a cuppa on arrival and breakfast – and more. Situated right in the border-country of Herefordshire/Shropshire/Worcestershire the scope for exploring is limitless, and to come ‘home’ to this wonderful little cottage was just brilliant. With the lovely weather we were able to use the private patio – just great. Thank you, Jane & Gareth. Beautiful cottage, immaculately presented. The owners made us feel at home immediately and could not have been more welcoming. Lots to do in the area and lovely countryside, everything we needed for a perfect getaway. This charming cottage has undergone a full refurbishment, it is located the delightful hamlet of Comberton, North Herefordshire, with spectacular views across open countryside. It is ideal for couples wishing to escape and enjoy the peaceful surroundings. There is a footpath you can access directly from the farm or hop in the car and take the five minute drive to the historic Mortimer Trail which starts at the medieval Ludlow Castle. 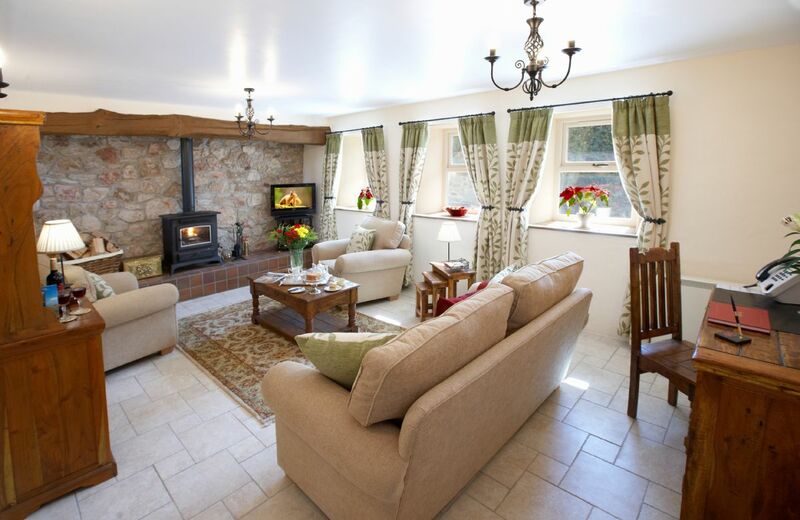 Lovely cosy cottage with lots of little extras to make your stay extra special. Wonderful welcome park and handy walks to follow from the doorstep. Owners made us feel very welcome. Great log burner with lots of logs etc. Will be going again. The cottage is perfect. The owners were helpful, the location is quiet and beautiful. Superb cottage, we'll be back ! Beautiful, quiet and secluded spot. Lovely, well appointed cottage, and lots to do nearby. Beautiful cottage, idyllic location, owners wonderful. 5 star all the way. Fantastic location fantastic cottage fantastic hospitality. Will return. it was very clean, beautiful hamper this is our second visit and would go back again when visiting the area . The perfect recommendation - a return visitor who does not look anywhere else! Thank you so much for leaving your lovely feedback. If I was to make any criticism it would only be nitpicking. very nice accommodation, our German Shepherd relaxed very quickly. Lots and Lots of walks from the door. and a Pub half a mile walk. The cottage was fantastic, comfortable and had everything we needed and more, the welcome basket was exceptional. We will be returning again. The whole place is just perfect including the service from the hosts! Lovely cottage, clean and well-appointed. Highly recommended. Pendleton Cottage continues to be a special property which receives great feedback. First class accommodation in a wonderful setting. Yet another lovely review for Pendleton Cottage, thank you so much. Beautiful cottage, well equipped. The owners had provided information on local amenities and a good number of walks from the cottage. Another great review for our lovely property Pendleton Cottage. Thank you so much. Thank you for leaving such wonderful feedback for Pendleton Cottage. We look forward to making another booking there for you! Owners gave the best welcome pack I have had at a Rural Retreats destination. We are delighted that you rated Pendleton Cottage as excellent with a fantastic welcome pack. Thank you for reviewing the property. Beautifully restored cottage. Excellent attention to detail. Lovely hamper of goodies upon arrival. Extremely comfortable and very homely. Ideally located central to many attractions. Quiet area for a relaxing holiday. Nothing was too much trouble. Fourth time here and would highly recommend. What wonderful feedback and recommendation. We look forward to making your fifth booking! Excellent- lovely anniversary break in lovely location. Cottage was perfect - plenty of character but also had all the key mod-cons you would want. Welcome basket and owner also very welcoming. Will book here again! Thank you for your feedback. We are so glad you enjoyed your anniversary at Pendleton Cottage. 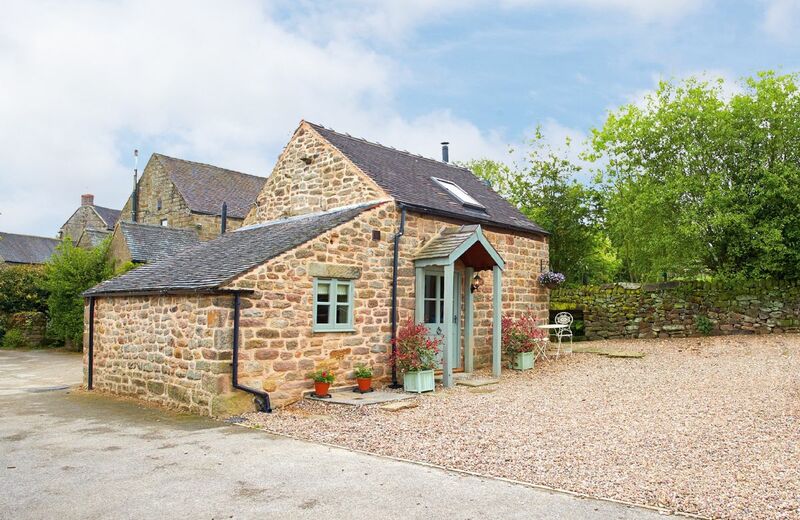 Located in the picturesque village of Alderwasley on the edge of the Peak District National Park, this lovely one-bedroom cottage features exposed stone walls, original beams throughout and a sitting room with a cosy wood-burning stove. 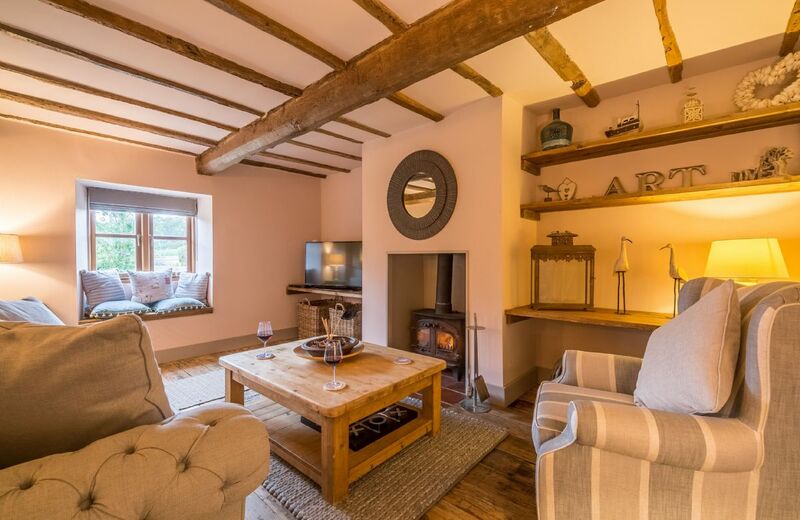 This exquisitely designed luxury 18th century cottage in Tinwell is a dreamy abode for couples looking for a romantic break. Nearby Stamford boasts many chic boutiques, eateries and alehouses, while Rutland Water is just ten minutes' drive away. WHAT A UNIQUE WONDERFUL PLACE TO STAY FOR A FEW DAYS.WE FELT PRIVILEGED TO BE THERE. This is the second time we have used Scargill Castle and are looking forward to many more times. Staying at Scargill is like being looked after by the best ever hosts without even seeing them. Nothing is forgotten to make your stay perfect. The owners really want you to feel welcomed in their very special place. The additional Tudor Banquet is highly recommended. The area is fantastic for moorland walking. The property was well kept and extremely clean. It truly is an inspiring place and part of the country to visit and stay - beautifully appointed, and I arrived to a well stocked kitchen (Tea, Coffee, Butter, Cheese, Bread, Cookies and Wine, etc...) and plenty of fresh flowers throughout the castle. Perfect. However, the incessant barking (day and throughout the night) of the many dogs on the adjacent farm was enough to send me home a day early; even though the castle has double glazed windows throughout, it's so deafeningly quiet, being so remote, that when there are no dogs barking (rare) the instant they do, you are awake/jolted from your writing/reading again. The owners of the property do supply earplugs (I assume for this very reason), but I cannot bear to sleep with anything in my ears. I met (purely by accident, and shared some cake that I'd made in the great kitchen )the farm owners and workers, and without prompting, all apologised profusely for the barking dogs. The owners of the castle are currently negotiating with the adjacent estate to have the dogs re-kenneled further away from the castle and in the meantime have reiterated the need to close the kennel doors at night. They are really sorry that all their efforts to make guests welcome at Scargill Castle have been undermined by barking dogs and they have asked the estate to treat this as a matter of urgency.Many guests write in the visitors book about how tranquil and peaceful their stay at Scargill has been, therefore, the barking has not fortunately affected everyone’s stay. Stunning location for a quirky building. Easy access to Co Durham, Nth York’s and the Lakes. Lovely accommodation set in amazing setting. Unique and historic accommodation in a beautiful setting. Well equipped, excellent welcome hamper, lovely walled gardens. Great place from which to explore the Dales and North Teesside. The adjacent working farm was quite noisy (farm animals and to be expected) but someone on the farm was keeping 8 non-working dogs which barked noisily from first light which was very unexpected and disappointing. An excellent stay but not as idyllic as we had hoped. Accommodation was fantastic, everything had been thought of. a lovely and unique place to stay. Absolutely fantastic. Me and my wife spent a fantastic weekend here for her 30th birthday and it far surpassed our expectations. When we first arrived our jaws both hit the floor - what a truly incredible place to stay. All of the little touches (just being able to collect keys from the key box rather than meet someone, delicious granola provided for breakfast, fire made and ready to light on the first night) really took the whole trip to the next level. Beautiful location, incredible property, well equipped kitchen and great collection of information on things to do. Would love to go back! Amazing birthday cake for my boyfriend - who was my fiancé by the time we left! Many congratulations on your engagement. We wish you every happiness and how lovely that you were at our special romantic castle. despite the snow and the gales the castle was amazing. there was good walking from the castle, and many interesting places to visit in the close vicinity.There were several pubs which were very friendly and served excellent food. The only downside was that the dvd machine was very temperamental, but we amused ourselves without television or dvd. The welcome package was amazingly good and generous. The road to the castle was interesting in the snow and required some ingenuity and dog blankets to reach it at all! Such a unique place to stay in a beautiful setting, the Tudor dining room was a very romantic setting for our New Years Eve meal, and with a very well equipped kitchen it was a treat to cook in the castle and then retire to the cosy living room. The treats in the hamper were very welcome and much appreciated! There are plenty of places to walk as long as you take a map with you, we had a tendency to get lost on a few occasions! Would definitely go back again! Scargill Castle nestles in beautiful Teesdale, close to the Yorkshire Dales and Lake District National Parks. Built in 1560, it has recently been restored into a delightful retreat for two, combining historic character with modern comfort.